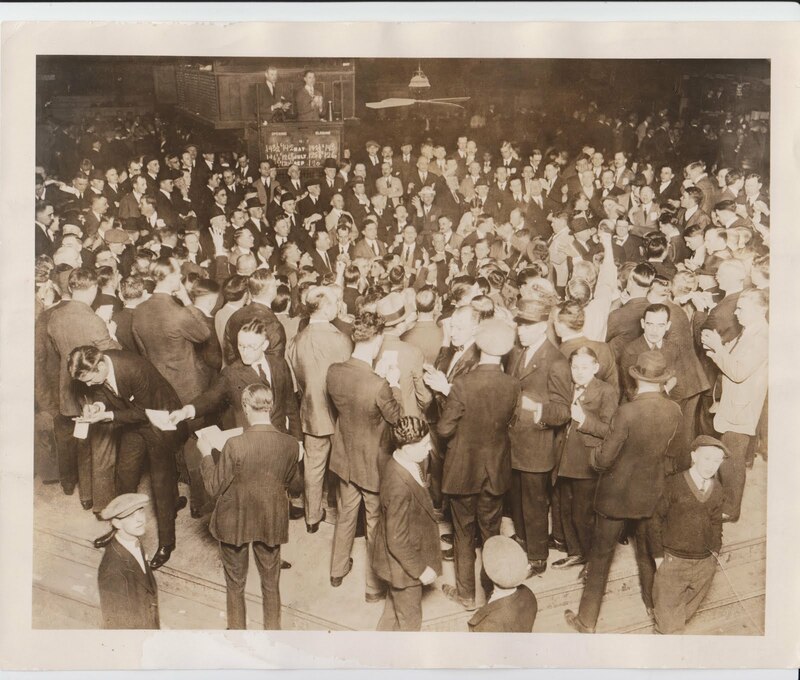 Those were the days when pit traders wore three piece suits, bow ties, fedoras to work but fast forward 80 years later and the only way you'd see a current or former pit trader in such an outfit would be if they had to go to court. 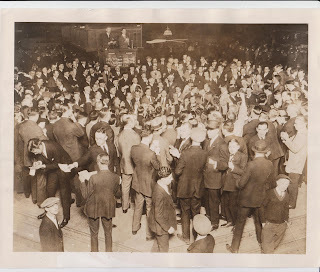 I'm not sure what pit that was but the photo dates from 1929 at the CBOT so it's corn, wheat or beans and my guess it's the wheat pit. This is in the "old" CBOT building and not the current building.